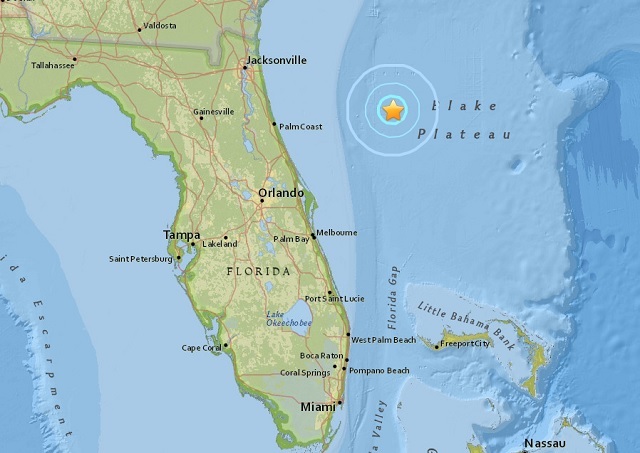 DAYTONA BEACH, Florida -- The U.S. Geological Survey (USGS) is reporting that an earthquake of around Magnitude 3.7 occurred 104 miles east-northeast of Daytona Beach Shores, Florida, at 8:00 p.m. Universal Time (4:00 p.m. Eastern Time) on Saturday, July 16, 2016. The epicenter of the earthquake was located 3.1 miles deep below the Atlantic Ocean floor. 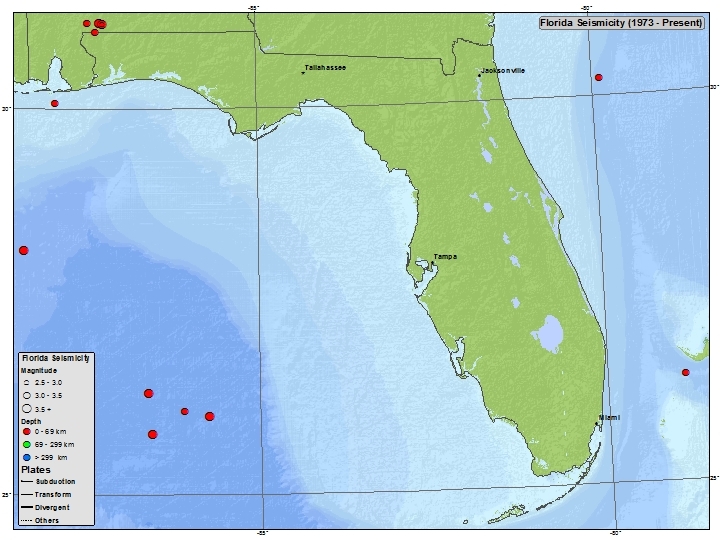 No tsunami threat (also known as a tidal wave or seismic wave) to Florida occurred as a result of this earthquake. Although Florida is not usually considered to be a state subject to earthquakes, several minor shocks have occurred there. Only one of these caused damage in 1879, according to the USGS.